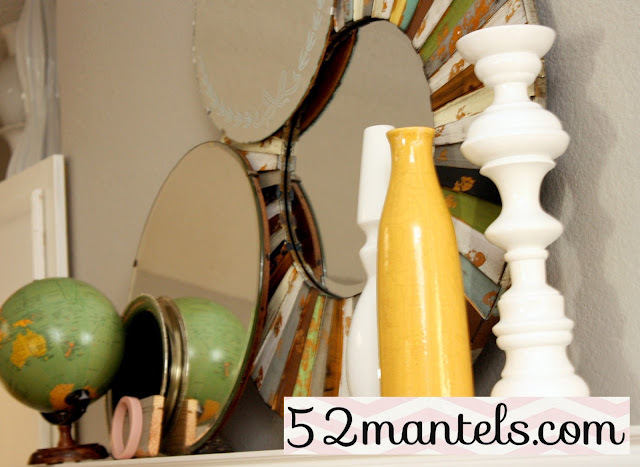 52 Mantels: Mantel Monday + A Challenge! 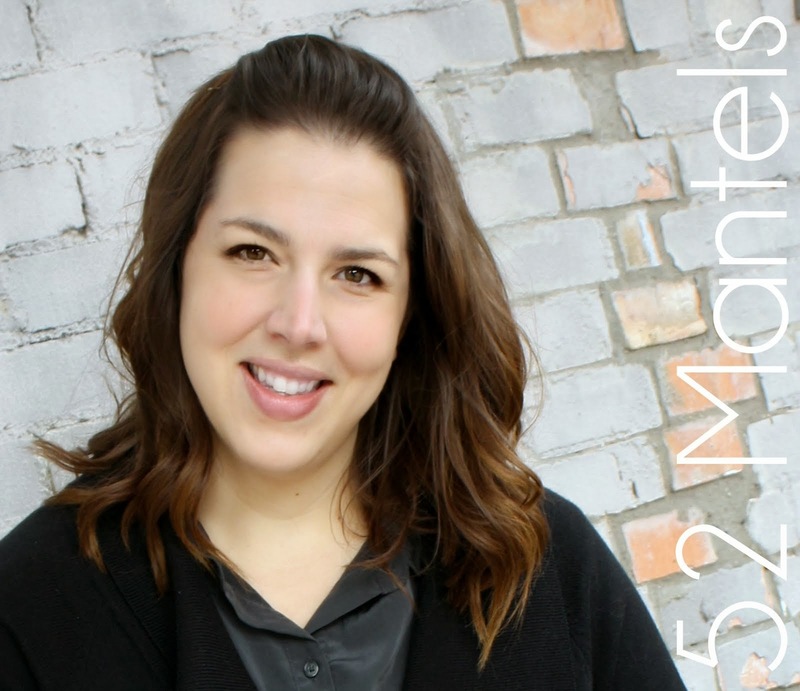 Mantel Monday + A Challenge! Oh for heaven's sake, is it Mantel Monday again already?! I'm kind of in a mantel funk, people. A big, ol' mantel funk. It's kind of fun to whip out some holiday mantels. But, these in between mantels? These (yet another) Spring mantels? Well, if I have to type "Spring blah-blah-yada-yada Mantel" one more time. Let's just say it won't be pretty. So, this mantel is NOT Spring themed. It's not April Showers Bring May Flowers or Bright and Airy or Fresh and Fun or...anything at all to do with Spring. This mantel just is. Can't a mantel just be? Does a mantel always have to claim a theme? Denote a season? Celebrate a holiday? Can't a mantel just have one of those ponytail, yoga pants, leave me to my soaps, days? Well, here you go. Here is our random mantel. Circles. Earth. Mirrors. I'm sure it all means something. But, I haven't the slightest as to what. My friend over at Bliss Ranch suggested, (quite possibly as a joke, because she's quite the kidder) that I let my readers decide a mantel theme (100% paper? reclaimed wood? incredible edibles?) and then I decorate accordingly. And (kidding or not bygolly) I'm doing it! SO, for the next week, feel free to leave your suggested themes in the comment section and I will sort through them, create a poll and ask for your official vote next Monday. Then, I'll set a date to reveal my mantel (I'll probably do it in mid May, but don't hold me to that just yet!). And, I'll even give your mantel a chance to get in on the action. So, stay tuned for more details! PS. 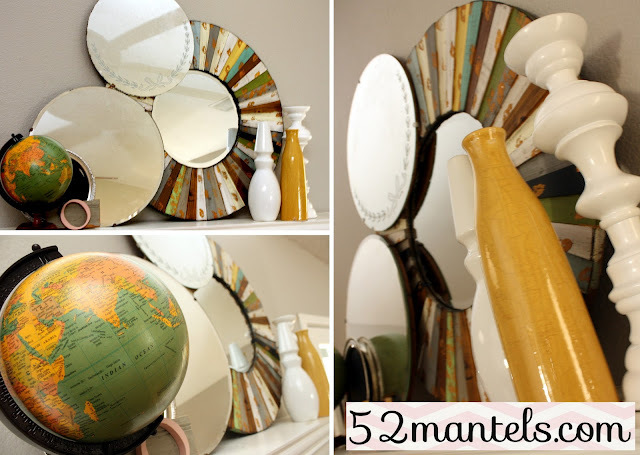 There are some super-duper awesome mantels linked up at our ONGOING mantel link party! Go check them out! I am suggesting a mantle based on a classic movie, like "Animal House." Just slap pudding blobs on the wall and tip over empthy beer bottles. In less than five minutes, you're done! How about a mantel that incorporates out earth, wind, fire-outdoor elements? Holy schmidt, as I was reading I wasn't expecting to see my name in lights! That is twice it happened this morning. And I am laughing. But I was laughing at your mantel funk anyway. I've been in a mantel funk for 20 years till I discovered you in January. And Kirby, I think after a son's not allowed party I had that mantel you describe. Putting my thinking cap on now for your mantel challenge, but I'll say Earth Wind and Fire is pretty darn clever. If this mantle is a product of a "funk" well then...I want to be a a "funk" too!! Its great, Emily! Oh, yeah, ok so the Challenge...a mantle decorated with popcisle sticks! lol Up for it?! LOVING this mantel! Be in a funk more often!! oh my goodness I love this mantel, I know you think you are in a mantle funk butttt I adore this "themeless ponytailed mantel"!!! And I LOVE the idea of asking readers for ideas for a mantel.... now you have me thinking! I will try to come up with something clever! Are you going to do something special for Mother's day? Anyways,hope you are having a great day! Well, like everyone said...if you're in a mantel funk, I'd like to be there too. :) My mantle hasn't changed in awhile, and it needs some inspiration. You're still a creative genius in my book!! Seriously? I think this one is the best yet. Love the colors on the big mirror. How did you get that top mirror to "float"? I vote for the "Animal House" theme. Only because I know you'd make it look classy! What a fun challenge! I love the paper idea. With all the cute papers and typography....that should be fun! I always love your mantles--theme or themeless! Theme ideas: Paper, frames, all organic, candy...not Animal House, but animal prints! What a cute hodgepodge, love it! I would love for you to share this (and any other creations) at Pin It & Win It Wednesday (open now!) 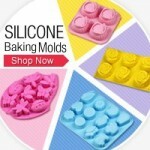 at www.cheapcraftymama.com! This mantel is wonderful! I love the colors, and who doesn't love a yoga pants day anyway?! It might be themed-less... but it all looks great together!! ok, so you have a globe here...but i was thinking about what i'm passionate about that might denote a theme, and i came up with...TRAVEL. that could be interpreted a million different ways, but i think could be TOTALLY fun! are you going to tell us what wins before you post? if so, i think it would be fun to challenge us to the same theme?? i don't know, just a thought because i need to update my "mantel" too! !